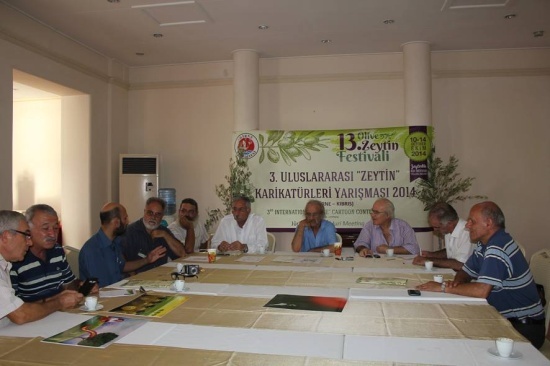 The traditional Olive Festival in Zeytinlik is the sign that olive growers are soon to be ready to harvest the year's crop for the good olive oil and other products. 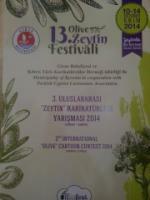 I have accompanied all festivals of the last years, you can read my texts with many photos on my website: Just open Google and enter Heidi Trautmann Olive Festival Zeytinlik, you will find all texts. In those years Ali Nesim was still alive and told old legends of the area. I miss him and his friendly face and his wisdom. 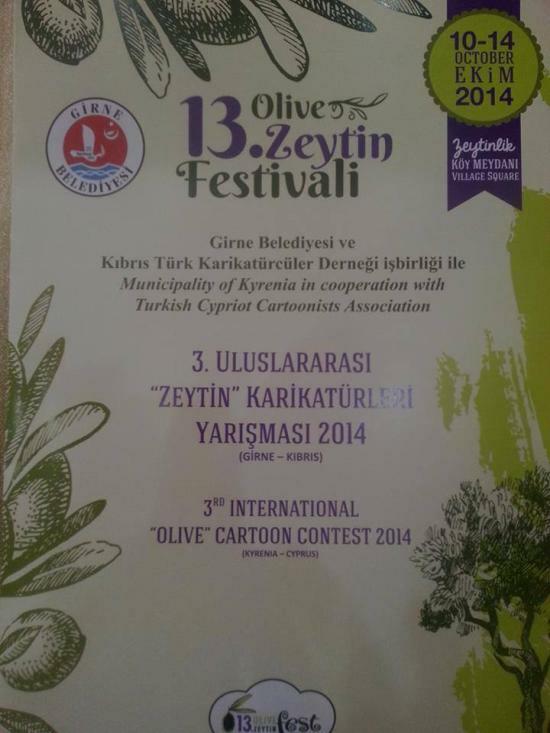 This year again, will be the exhibition of the 3rd International 'Olive' Cartoon Conmtest 2014 organised by the local Cartton Association and supported by the Kyrenia Municipality. 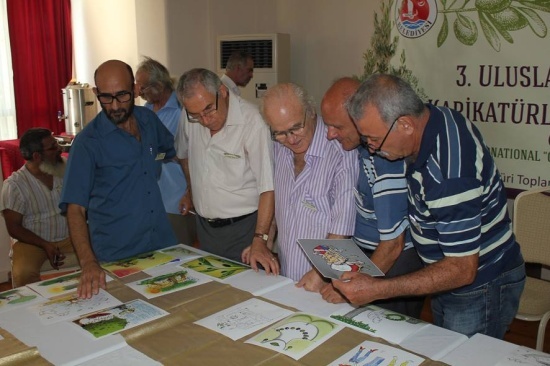 It is about the protection and care of olive trees. 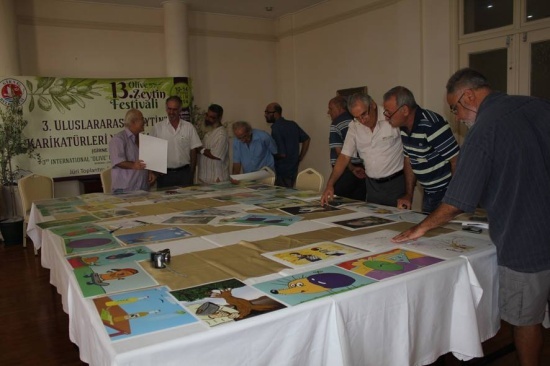 Not only the winners but those who are worth for display in the exhibition have to be chosen.